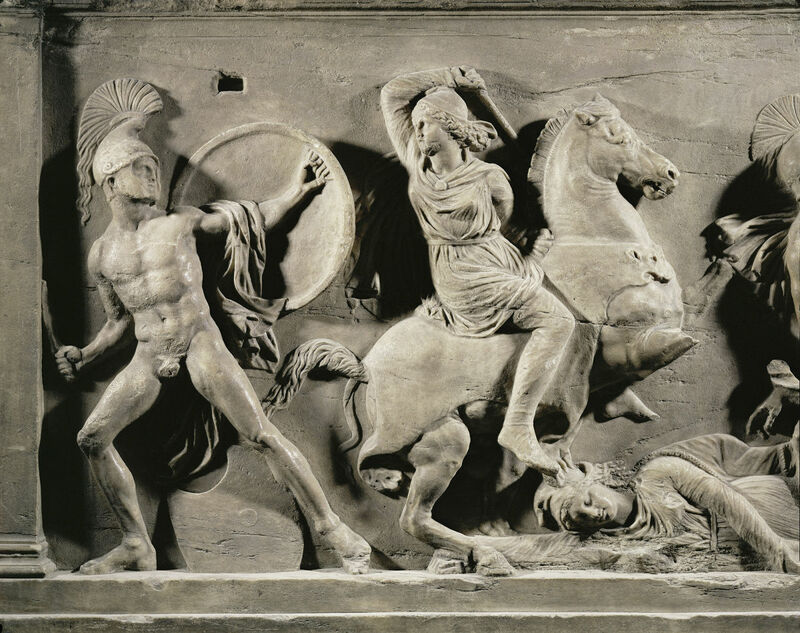 Here’s a story, told by Herodotus, about the fierce female warriors known as Amazons. Many thousands of years ago, a group of Greek raiders ventured into what is now northern Turkey. Travelling across the steppe, they came across a group of warrior women. The Greeks kidnapped them, locked them in the holds of their ships, and set sail for home. But the Amazons escaped. They recovered their weapons and killed their captors. Because they were horsewomen, and didn’t know how to sail, the ships drifted far off course. Eventually, though, they landed in the Crimea. The Amazons went ashore and stole some horses. They started marauding, gathering loot, and building up their strength.